In this section we explain about the online Forex spot market, and what does it mean to trade with spot trades. A spot market is a market where commodities and cash are bought and sold immediately, with no time between trades. The "spot" word is used to mark the fact that the trade takes place "on the spot", without any time delay in between. 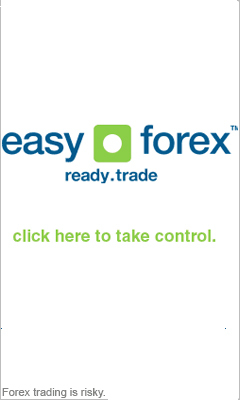 When you place an order to buy/sell a foreign currency, the trade is done with no delay. In this market, the trades are done for current prices. Unlike the futues markets, where contracts can take months to come into affect, Forex spot transactions are settled within two business days. The Forex spot market has a huge advantage because after you see a price of a certain currency on your computer screen, you can immediately buy or sell that currency and get the current price for your trade. This gives you a spot on connection to the online Forex market, and you are sure that you are not missing anything, because it's real time. The fact that the online Forex spot market is concurrent, allows for the many trades to take place each day, and eventually is one of the reasons why the online Forex market is a very quick option to make money. Unlike the regular stock market, the Forex market is much more dynamic, so you don’t have to sit and wait for changes in your stock. You can view your currency on the spot, and if you don’t like it from one minute to the next, you can go and sell it immediately and not suffer any unnecessary losses. Accordingly, once you have noticed that the currency you invested in has risen enough, and is saturated, you can decide to sell it and reap the profits. The Forex spot market is seen in it's real time glory through the charts offered by technical analysis, so you can view the dynamics by yourself.